Pere Ubu have always had a devoted fan base in our country. Are you aware of that? There are devoted Pere Ubu fans scattered across the globe. Too bad we can't get them all gathered together at the same time in the same place. I have always considered it to be funny how sometimes odd things tend to spread around and circulate. One of them, according to my opinion, is that you were presented to be the "Crosby, Stills, Nash and Young of the Cleveland". Did you enjoy the parallelism? I came up with it myself. When you run across these sort of odd statements in connection with Pere Ubu the odds are that I invented them. 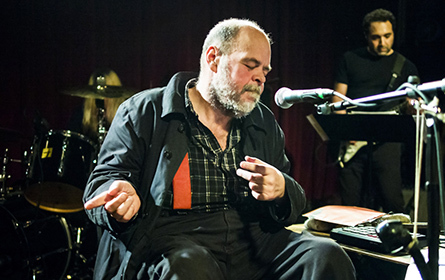 Pere Ubu, in a small local way, was a 'super group,' compiled from the best guys in the scene. And we were the 'normal,' commercial ones. Although "Elitism For The People 1975-1978" refers to the past, it certainly has to do with the present, if not the future. Do you agree with me? Although I am not a fan of categorizing music, I consider that, to an extent, this could be helpful, especially when someone is totally unaware of a band's music. 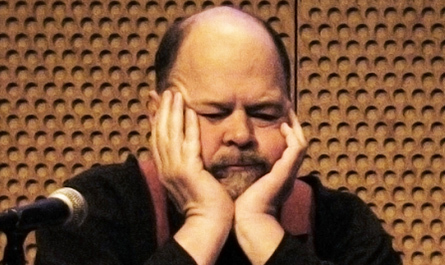 I found it very interesting that the sound of Pere Ubu is called avant-garage. How do you feel about that? Again, that's a description we applied to ourselves. Journalists and critics require labels above all else. We were fed up with the labels that were being applied to us. First we were 'industrial,' then we were 'post-industrial,' then we were pre-industrial.' All within two year's time. Same with 'punk' - punk, pre-punk, post-punk. Well, we never had an affinity with the punk movement. We were a rock band operating in the mainstream of rock music. We were paying attention. We knew where we were in the stream of time. 'Avant-garage' appealed to us because it didn't mean anything but it amalgamated what others saw as a schism in Pere Ubu - that we liked pop music and we liked noise, both in equal measures. All sound is created equal. Does, by definition, music really belong to art? If not necessarily, how could it be a part of it? What does it matter? Is music art? Yes. Okay, now what? I don't care what others like or don't like. Am I an entertainer? Yes. So was Herman Melville. We don't sit around trying to come up with music that people won't like. Are you insane? As I said, we pay attention to where we are in the stream of time and circumstance. Lots of other people don't. So why concern yourself with what others like or don't like? We are not slaves to approval. We are not sand on the beach to be shifted with each new tide. When you write a song, do you try to deconstruct its initial form and then create something new from its elements? No. Many times I, for my part, will be interested in 're-writing' someone else's song. There are endless and frequent references to pop music in Pere Ubu's songs. Rock is folk music. Folk music is self-referential and constituted as a continuum. Is your music an endless evolution? You used to dislike punk. Do you think the same today and why? Disliking something infers an investment of time and emotion. It's a descriptive that is too loosely defined to mean anything. I don't dislike it. I have no respect for it. The purpose of a performance is to allow yourself to be purged in the furnace of the moment. Clapping is a distraction - it wastes my time and disrupts the flow of a show. At the end of a song I'm ready to go to the next stage of things. Waiting around for applause interrupts my timing. And sometimes it simply irritates me. Maybe we've just gone through a series of crystal moments of inspiration and I think to myself, in regard the applause, "What?! That's the best you got?" David Thomas or Brian Wilson? Please tell us some influences of yours that we could never think of. Which album of yours do you consider as the most influential and which do you like the most? How can I judge what is influential to others? Which of your children do you love the most? Could you please tell me what instantly comes to your mind, using two words only, when I say the following: "Sonic Reducer" - Dead Boys, Rocket From The Tombs, "Musicians Are Scum", Captain Beefheart, MC5, Wipers. You have stated that "Self-expression is evil". Do you really think that an artist is capable not to talk (consciously or subconsciously) about himself? Yes. It requires discipline, technique and training. None of the above. It's something to be ignored. It's what they say about good cornerbacks: the good ones have short-term memory. 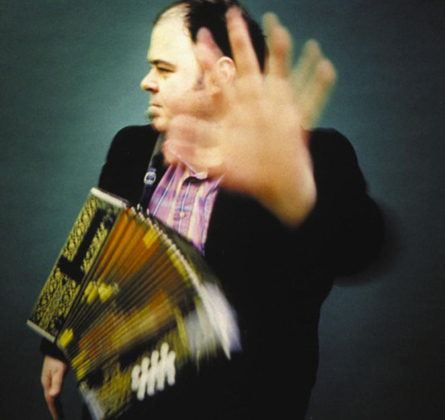 What do Pere Ubu want to say to the people? We don't volunteer information. We answer questions. "When the devil comes, we'll shoot him with a gun, my baby says, and if he shows his face, we'll laugh". Has he come yet?